EXPERIENCE, IS PROUD TO BE PART OF THAT TEAM. LET US QUOTE YOUR NEXT APPLICATION. ESCHER WYSS G.M.B.H. 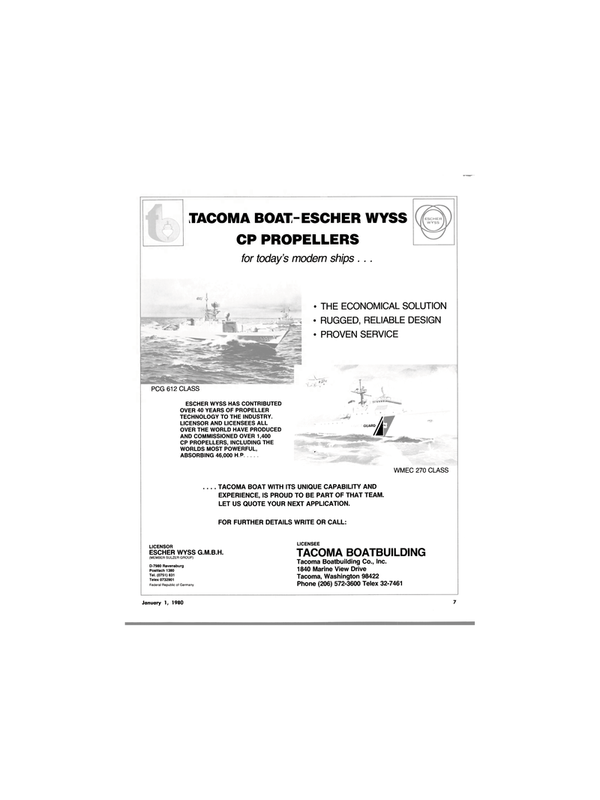 TACOMA BOATBUILDING (MEMBER SULZER GROUP) Tacoma Boatbuilding Co., Inc.